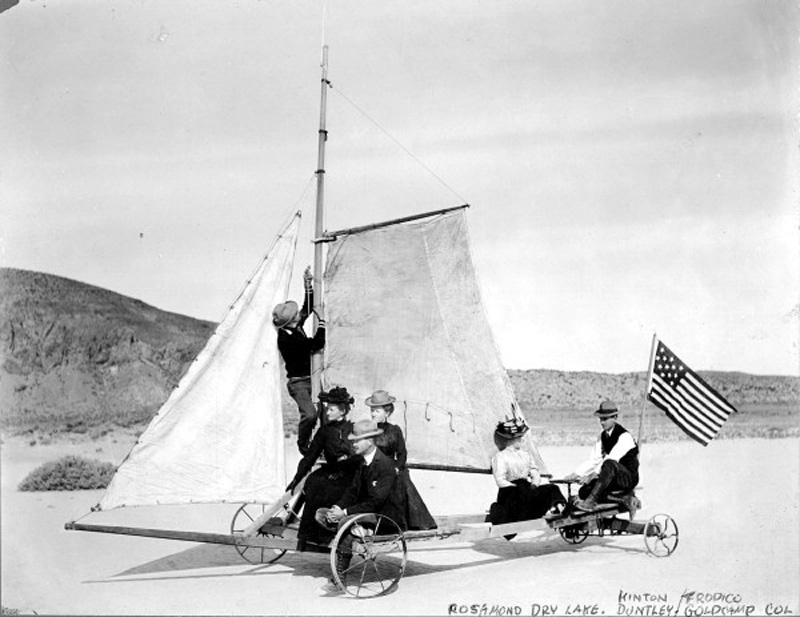 An 1890s pastime: Wind sailing on Rosamond Dry Lake. The woman nearest the mast is Ella Kinton. The men are miners from the Tropico and neighboring gold mines. From the Kinton House collection, at the Goldcamp Museum at Burton's Tropico Gold Mine Tours in Rosamond. Photograph by Pierce & Co., 313 S. Spring St., Los Angeles. Acquired by SCV Historical Society member David Desmond in an auction of the museum's contents.